Welcome to Kokko Wellness. Our mission is to use evidence-based, time-tested methods to unravel stagnant patterns and create integrity and wholeness. Benefits include: freedom from pain, structural alignment, immune enhancement, optimal functionality, and clarity of mind. We look forward to partnering with you on your wellness journey. Our comprehensive holistic diagnosis includes asking questions, "listening" to your pulse, traditional observation, checking vital signs, palpating channels and doing physical exam. 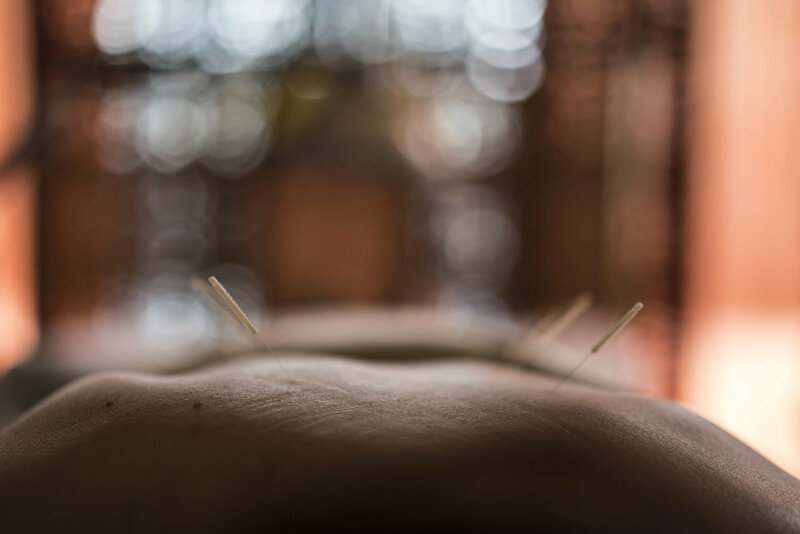 Informed by classical Chinese and Japanese acupuncture, we generally do both front and back treatments. First Treatment: Please come 15 min early with loose-fitting clothing. There is ample free parking in front of the clinic, or on either cross street. As an added benefit, we do 10 min of therapeutic bodywork with each session (unless requested not to). Our philosophy is that Qi and blood flow better with a combination of acupuncture and bodywork and that bodywork helps the body feel grounded after being opened up with acupuncture. Our bodyworkers are all trained in therapeutic tui-na, which entails more relaxed stretching of myo-fascial tissue. Unlike Swedish massage, traditional tui-na tends to focus on releasing deeper adhesions and blocks. We can adjust how deep or soft the bodywork you want based on your own preferences. For a 60 min or 90 min session of bodywork alone, that can be scheduled separately from the acupuncture treatment. Cupping has gained a lot of popularity recently from star athletes, such as Michael Phelps and Stephen Curry receiving treatments between competitions. For acute muscle spasms, we haven't found anything as effective to release the pain and tension as quickly. Cupping pulls on the myo-fascial tissue so that nerves that are locked in a firing pattern underneath can release. As a decompression treatment, it also pulls stagnant blood up to the surface so that the body's lymph system can clean toxins out of the body. Also, studies have shown that a 12 week course of cupping once/ week decreases inflammatory markers in the bloodstream. 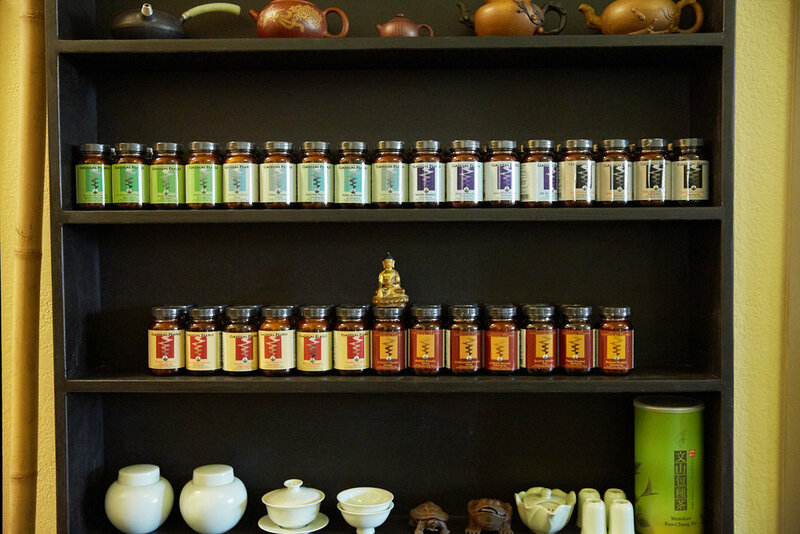 Chinese herbal formulas have been refined and time-tested for millennia. The exact science of herbal combinations, processing and dosaging have made herbs an effective and safe modality to heal and optimize the functionality of the mind/body. We only use third-party, lab-tested herbs that are free from pesticides, additives, and sulfites. We strive to carry as many organic herbs as we can ethically source. And we also carry high-potency extracts, capsules, and tinctures. We drink and serve a lot of good tea! It's a complimentary service that we give to our community. We collect the best green, white, wulong, non-caffeinated herbal and especially aged pu-erh (fermented) tea that we can find. For more information on what we carry, please check our Tea & Qi page, social media and "Store" pages. Tea has a whole range of benefits for the mind/body and is still considered the elixir of youth and vitality in the east. We study the Qi of tea, along with everything else that goes into it. Come and join us !